Insta360Stitcher version 0.9.17 and 1.0.0 (they issued an update while I was writing this). 4/23/18 update: Adobe Premiere integration enables editing before stitching. 10/4/17 Update: see new features being added. Originally published July 12, 2017. Note: this review will be constantly updated with the latest developments, so it will change over time. See the changelog at the end of this article. When Insta360 announced the Insta360 Pro at CES 2017, they astounded the 360 camera industry. Prior to their announcement, they had said they would create a camera to compete with the GoPro Omni, an 8K 360 camera rig that was and still is used by many professionals. With the Insta360 Pro, they not only created a camera with 8K resolution, but they also added capabilities not found in the Omni, including 3D 360 photos and videos, and the ability to live stream in 4K (in 2D or 3D). And it was $3,499, fully one third less than the price of a GoPro Omni. Soon after, they also posted sample photos and videos that showed impressive quality, and I got to see more sample photos and videos in a VR headset at NAB. Even though I saw the samples with excellent image quality, I was still a little bit hesitant to order the Insta360 Pro. It would be the second most expensive camera I’ve ever bought and there were no tests or reviews for it. Due to a customs snafu, I also wasn’t able to try it at NAB Show 2017, so I didn’t know what it was like to actually use it either. Was it too difficult or impractical to use in the real world? What if it takes too long for my modest PC hardware to stitch? How does it really perform? At the same time, I had been writing about Insta360 for a while now (since February 2016) and I knew that they were extremely committed to doing the best for their customers. Since 2007, I’ve purchased cameras (360 and otherwise) from most major manufacturers including Nikon, Sony, Pentax, Olympus, Panasonic, Fuji (sorry I never had a Canon other than point-and-shoot) – and honestly, I’ve never seen any company that was as anywhere as dedicated to its customers as Insta360. Their responsiveness is amazing, and they issue significant updates to improve their cameras at an incredible pace. For example, they added the 360 camera industry’s first realtime image stabilization to their Insta360 Nano and Air via a firmware update (!). In one quarter they probably issue more updates than a typical camera company issues in the entire product cycle of a camera. I thought to myself that if this highly customer-centric and highly capable company has poured all their resources into making the best 360 camera, then that 360 camera should be amazing. So I took a leap of faith and ordered one. Here’s what I found. Price: $3499 (stitching software included). – quick start guide, warranty, a thank you letter from the company. The Insta360 Pro is somewhere between the size of a large cantaloupe or a small honeydew. Here it is next to the Panono and the Vuze Camera. The Insta360 Pro’s body uses aluminum alloy and polycarbonate. It feels very solidly built and is quite hefty. It is about the weight of my old Nikon D3. The removable base acts both as a stand and as a grip. It’s not totally spherical in shape and has recessed areas at the top and bottom that can be used for gripping even without the removable base. Something interesting is that there are actually three color variations for Insta360 Pro. The most common one is black. A few are white. And fewer still have a gunmetal blue finish like the one shown in these shots. Until I got the Insta360 Pro, I had no idea how it was actually used. To my surprise, it was as easy to use as a point-and-shoot camera, not just while shooting but even for stitching. Here’s a demo on how to use the Insta360 Pro, from shooting (on-camera or with the app) to stitching. The Insta360 Pro is so easy to use that by the end of the video, you too will know how to shoot and stitch with the Insta360 Pro. (Correction: in the video, I said I was using an iPhone 4. Actually I later found out that I was using an iPhone 5S. Sorry for the confusion.) UPDATE: Insta360 Pro is now also compatible with Android! As shown in the video, the startup takes about a minute and a half with the current firmware. There is a coming update that will reduce the startup to about 30 seconds. Stitching is much easier than a rig. You only have one SD card to manage, and each photo and each video has their own folder, so you won’t get the files mixed up. Each folder has all the individual files for that photo or video (you can turn off this feature) and a 1920 x 960 preview file so you can get an idea of the final photo or video. Honestly, it is much easier to handle than compared to, for example, my Kodak PIXPRO SP360 Dual Pro. I have an SSD drive but I rendered the file into my storage drive which is a regular HDD, not SSD. I didn’t assemble my PC. I just bought a Dell workstation which had the processor and RAM for around $270, then I added the graphics card. The total cost was just around $540. 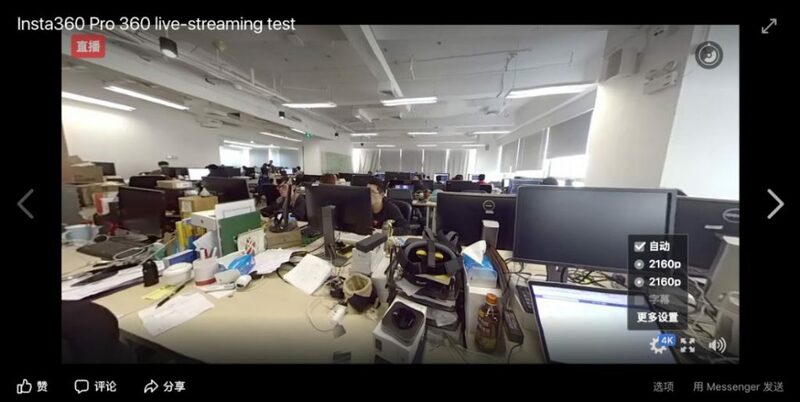 With this hardware using version 0.9.17 of the Insta360 Stitcher on a 6K 3D 360 video, it took me around 15 minutes of stitching time per 1 minute of video using optical flow stitching. Scene-based stitching is about twice as fast on my PC. But with version 1.0.0, it takes me just 10 minutes of stitching per minute of video! Insta360 said that they are improving the stitching speed even further with future updates. Videos stitched on the desktop have 360 metadata (2D or 3D as the case may be) and can be uploaded directly to YouTube or Facebook (I haven’t tried uploading to Vimeo, but I’m sure it will work). As for in-camera stitched videos, it seemed they did not have the correct 360 metadata as of firmware 153 but they will fix that issue in the next update. OK so what’s it like to shoot with the Insta360 Pro in the real world? I had many worries. I worried if it would be too complicated to use in the field, or if it would fail unexpectedly right when I need it, or if I would be chased out by security guards, or if I would drop it accidentally. In reality, it’s much easier to shoot with it that I imagined and was completely hassle-free. I took the Insta360 Pro to a local pier with a lively atmosphere. To make it faster to use and to avoid drawing too much attention, I decided not to use the hardcase it came with. Instead I just used an old camera bag (you can see me carrying it in the sample videos). It made it much easier to carry the Insta360 Pro. I used my favorite monopod combination, the extra tall Kodak PIXPRO monopod with the tripod legs from the Monoshot.co. (Update: I now use a Linco steel light stand which is more stable than the PIXPRO monopod and will not sway.) I simply carried the Insta360 Pro with the monopod, holding it like Gandalf’s staff, using the lens cover and wiping the lens with a microfiber cloth in between shots,. It was much faster to shoot that way than putting it back in the camera bag every time. Another thing is that because of the Insta360 Pro’s slow startup time (around 90 seconds), I kept the Insta360 Pro on the whole time. And believe it or not, I was able to shoot with one battery for almost 2 hours (not 2 hours of nonstop recording but 2 hours of walking around and shooting), even though I never turned it off and the internal fan and Wi-Fi were turned on the whole time. The key to making this work is to exit to the main menu as soon as you finish recording. 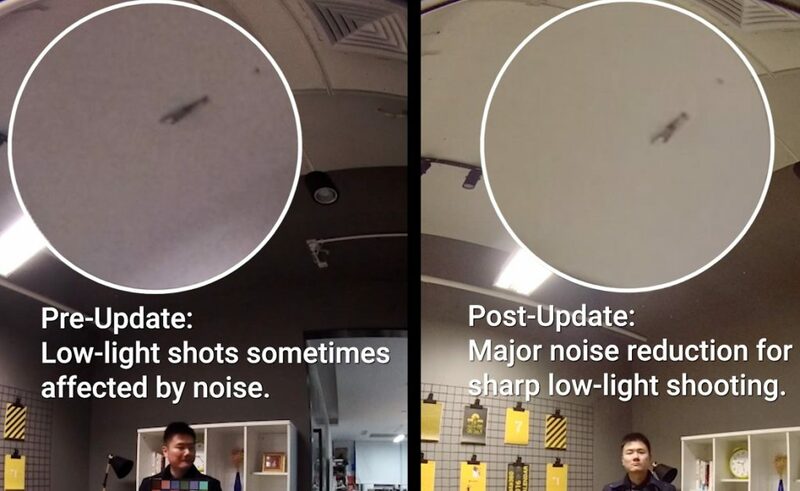 I learned from Insta360 Pro’s CEO JK Liu that if the camera is on “Ready” mode, it will drain the battery as fast as if it was recording a video. Needless to say I was very impressed by the battery performance. (I also brought backup batteries but I didn’t actually need them). So here’s how it works: I scout for an interesting spot for shooting. When I decide on the location, I setup the monopod legs and adjust the height for the Insta360 Pro. I got into the habit of doing a stitching calibration with every new location. (This is easier than it sounds and only takes about 15 seconds.) After calibration, I simply switch to photo and/or video and take the shot. For some scenes, I used my phone to start and stop recording. It really is that simple, and it worked perfectly and predictably throughout the entire 2-hour shooting session. I was worried that security guards would stop me from using it, or people would object to me using it, but I only got curious looks and a few who asked me about it, none of them hostile, and some who looked interested in getting a 360 camera. Most people were oblivious to it, not minding it at all, at least at this location. See the Insta360 Pro v 2.0 update improvement on image quality The Insta360 Pro’s photos have excellent quality. The photos are very detailed from edge to edge, and the dynamic range is impressive. The stitching is very smooth if you use optical flow stitching (note: the in-camera stitching also uses optical flow), except for objects near the camera’s zenith or nadir which can look a little warped. The colors are natural-looking and remind me of the look of negative film. 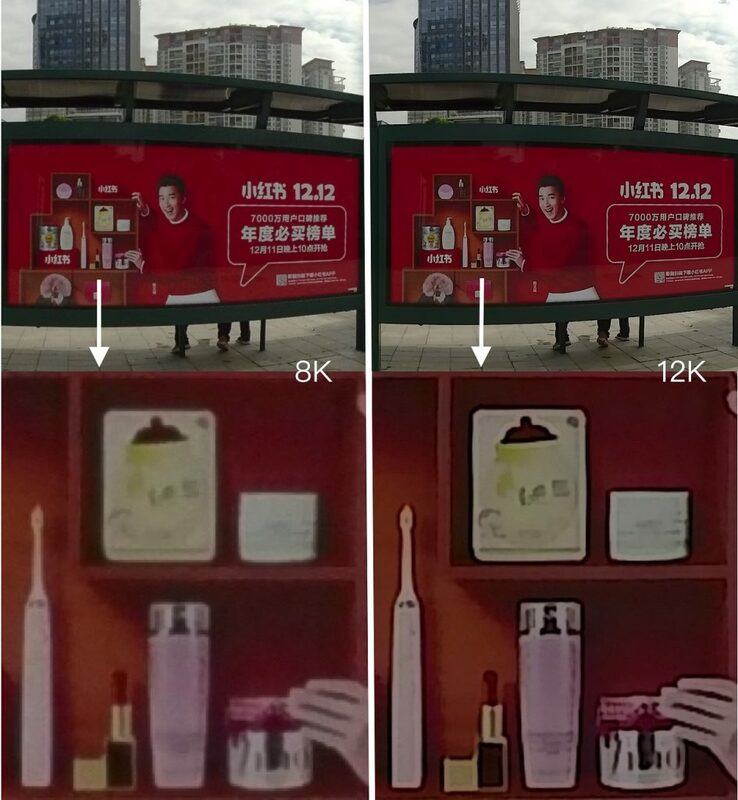 You can also adjust the appearance of the photos before taking the shot with the app. The photos also have good latitude for adjustment in postprocessing. And of course, you can shoot in Raw, which will capture each lens in DNG format as well as stitch a 2D or 360 photo in DNG. Here are 2D shots in full resolution (7680 x 3840) from a 3D 8k photo shot in JPG (for a 3D sample see below). The lens appears to have very good flare resistance. Here is a scene where the sun is low on the horizon, shining directly into the lens, and there’s only a small flare artifact on the right side. Note: this video was not edited and is an in-camera stitched video. In my opinion, what really sets the Insta360 Pro’s photos apart is if you shoot in 3D 360. The 3D effect is simply beautiful. 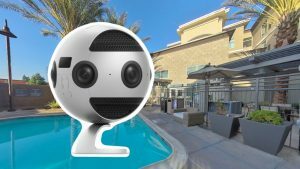 As of July 2017, Insta360 Pro is one of the very few 360 cameras that can shoot 3D 360 photos (right now, Vuze’s 3D 360 photo mode is just a short video clip, so it’s really just a framegrab from a video). Here is one of the photos in 3D 360. To view it in 3D, you need to view it on a phone and tap on the Google Cardboard icon. – Gala360. You can share photos by sharing the url. See this example. – Here are other ways to share 3D 360 photos: see here. See the Insta360 Pro v 2.0 update improvement on image quality The screenshot above is not from a photo. It’s a crop from a frame grab from the 8K mode of the Insta360 Pro. In fact, this is just a framegrab from the version uploaded to YouTube, so it’s not even the full detail. But as you can see, the detail is amazing (click to see the full version). At 8K, each frame of the video has 29.5 megapixels (7680 x 3840), around twice the nominal resolution of a Ricoh Theta photo. Just think about that… BTW, you can see how a framegrab from the Insta360 Pro compares to a Ricoh Theta S photo here. YouTube began fully supporting 5.7K and 8K videos in September 2017, enabling smooth playback as long as your PC has adequate performance and your internet connection has sufficient bandwidth. However, 6K 3D 360 does not yet play smoothly as of October 2017. On other platforms such as Facebook and Vimeo, videos are limited to 4K. Nonetheless, a video shot at 8K or 6K then viewed as 4K has more detail than a video shot at 4K. As for audio, the Insta360 Pro has four microphones for 360 audio. However, in the real world, audio is not one of its strengths. First, there is a lot of ‘popping’ when the sound is too loud for the microphone. Second, the internal fan is quite loud. Outdoors it is not an issue, but indoors in a quiet environment, it can be heard easily. Third, the volume of the microphone is sometimes too low. Fourth, the audio seems to be out of sync with the video. Insta360 has added a noise cancellation feature for the fan noise, but I haven’t compared to see how effective it is. As for the other issues such as volume and synchronization, Insta360 is working on them. UPDATE: Insta360 has improved the audio by adding a spatial audio mode and a fanless mode (which will allow the camera to shoot video without the fan, for up to 15 minutes). In any case, it is possible to use an external microphone (it has a mic input jack), although many pros will probably record audio on a separate device. 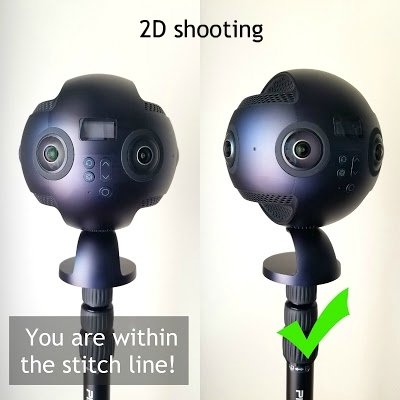 See the Insta360 Pro v 2.0 update improvement on stitching quality Insta360 Pro allows you to choose between optical flow stitching or scene-based stitching. Scene-based stitching is a type of template-based stitching. It stitches the videos according to a specific distance (determined during stitching calibration). 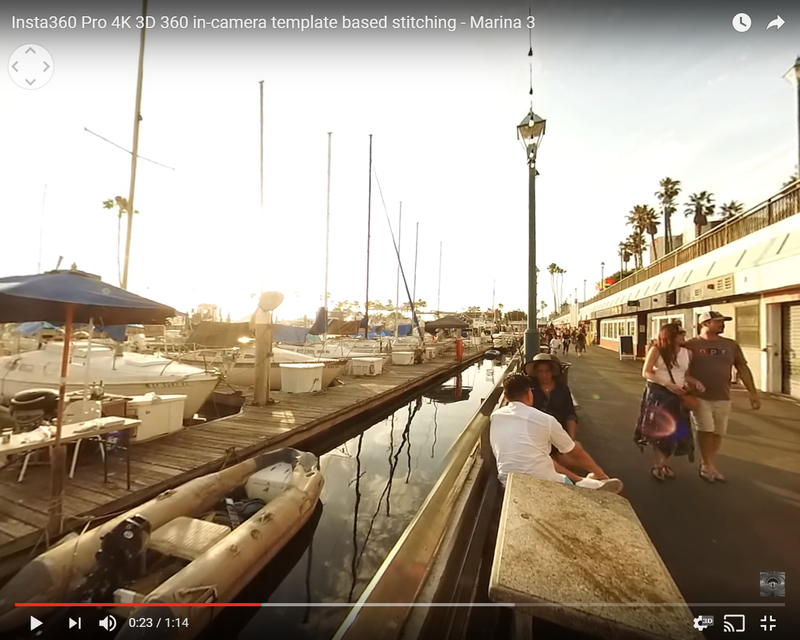 This is the mode that Insta360 Pro uses for videos with realtime stitching. It is faster but the stitch is perfect but only at the specific stitching distance. Objects that are within the stitch line and move farther or nearer that specific distance will have some doubling (if they are farther than the stitch distance) or splitting (if they are closer than the stitch distance). The other stitching mode is optical flow stitching which can move pixels during stitching. In theory, it can stitch at all distances simultaneously (i.e. both near and far objects) as long as there is sufficient overlap between the lenses. 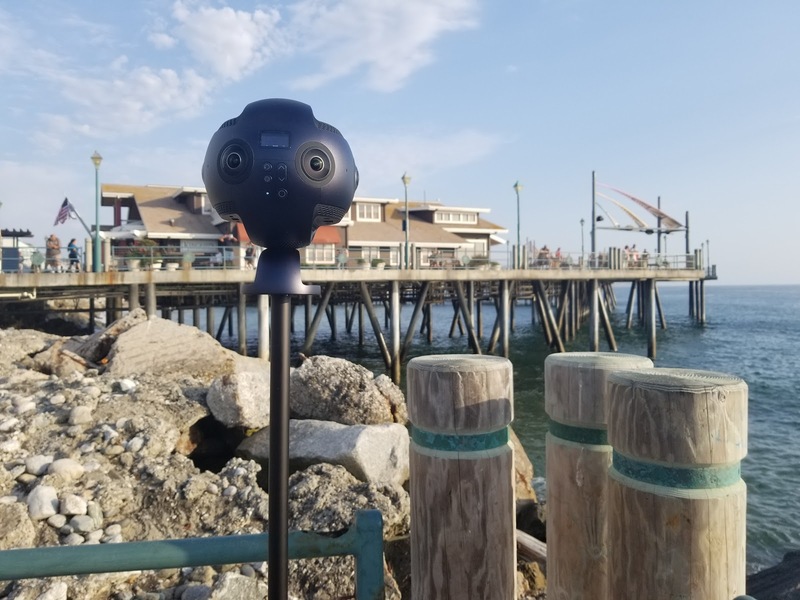 The Insta360 Pro’s stitching with optical flow is smooth and seamless except for objects that are within the stitch line near the camera, especially near the zenith or nadir. Those objects can look like they are vibrating or oscillating. 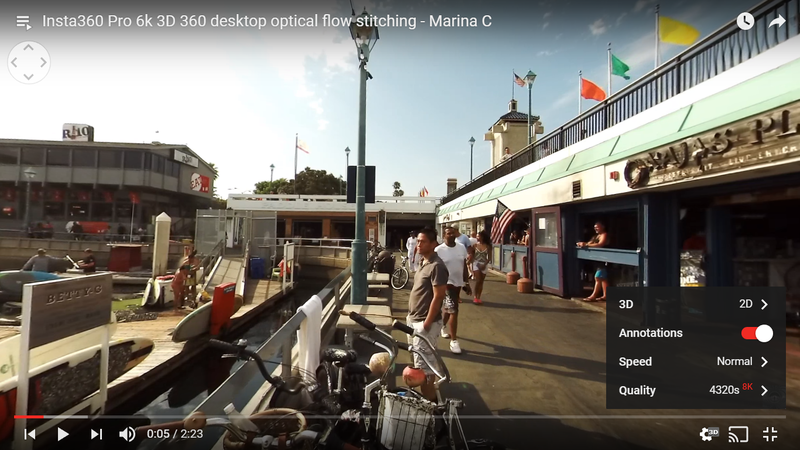 However, Insta360 already has a new optical flow stitching algorithm that addresses this issue. I’ve seen the result and it does work. We should see an update in a couple of weeks. To avoid issues with stitching, you need to ensure that important compositional elements, especially people, are not within the stitch line. Because the Insta360 Pro’s lenses are approximately eye-width apart, it is instinctive for people to face it the way they would face a person. If they do that and you are shooting in 2D, they would be squarely within the stitch line. You need to show them how to avoid the stitch line by having them face one lens at a time when shooting in 2D. If shooting in 3D, the reverse is true. You would need to stay between two lenses to avoid the 3D stitch line. If you stand squarely in front of one lens, you would be within the stitch line in 3D. 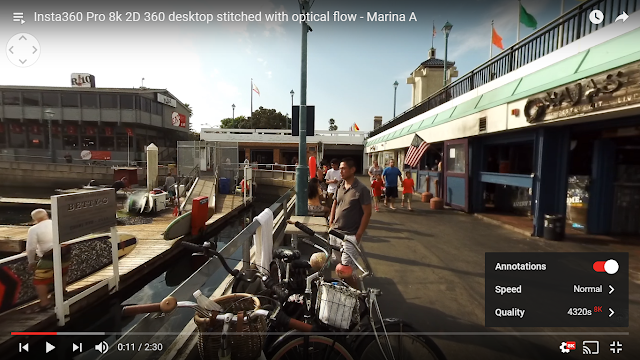 Here is a playlist with 8K 2D 360 and 6K 3D 360 videos. I also included both optical flow and template stitched samples for each so you can compare how the stitching looks with each method. Note: these samples were stitched using the first version of the software. More recent samples have improved stitching, especially with the zenith and nadir. In addition to Insta360 Stitcher, you can also use third party software. 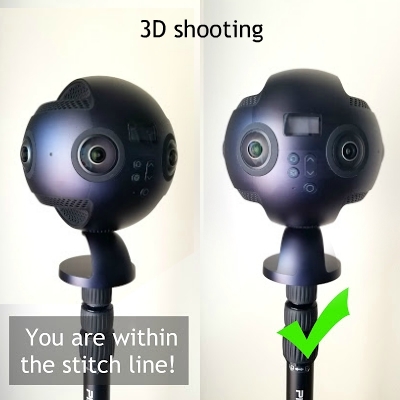 In particular, Mistika VR works very well for stitching Insta360 Pro and has more advanced stitching features such as being able to create masks to customize which lens to use when an object is within the stitch line. – it can stream in 2D or 3D 360. – you can have realtime gyro-based image stabilization while live streaming. Here is a playlist with more sample videos in daylight conditions. The first two are 6K 3D 360 videos that were stitched on a desktop with scene-based stitching (similar to template based stitching but it’s calibrated for a particular scene). The third is a 4K 3D 360 video stitched in-camera (it was taken later in the day, hence the different color temperature). I also added samples with optical flow stitching. I composed the shots for 3D so I implore you to watch these in 3D to get the full effect. Here is a playlist with sample videos in indoor lighting conditions (somewhat dim). All of the videos are 6K 3D 360, and I also posted versions with both scene-based stitching and optical flow stitching. Insta360 released v2.0 update to the firmware and app, which added many improvements. The firmware update improves the Insta360 Pro’s dynamic range (both highlight and shadow range), clarity, low light performance, and white balance. These improvements affect both photos and videos. Here is a comparison showing the improvement in dynamic range and clarity. You’ll notice that the sky has much better highlight range despite having the same exposure. There is also much better shadow detail. Foliage that looks like blocked shadows has much better shadow detail in the updated version. Finally you’ll see improved clarity. In the distant building on the left, the windows are better defined than before the update. 2. Improved low light performance (decreased noise). Another major improvement is to the Insta360 Pro’s low light performance, which now has much less luminance noise. 3. 60fps (interpolated) for both 8K and 6K 3D 360 videos. 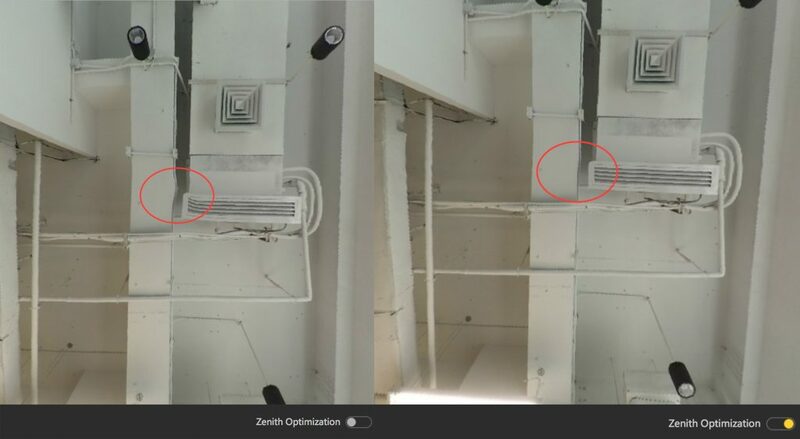 As mentioned above, the update improves the stitching of the zenith, through a new feature called zenith optimization. It looks quite impressive. How would you like to get home from your shooting session to find that Insta360 Pro has already stitched your videos and photos for you? Insta360 Pro already has 4K realtime stitching but it can also stitch all other video and photo modes, including 8K 2D and 6K 3D, in-camera with optical flow stitching (albeit not in realtime), using Insta360 Pro’s internal graphics processor. In fact, Insta360 Pro’s processor is so powerful that it might be able to stitch videos faster than some PCs. The primary benefit is that you’ll be able to use the Insta360 Pro during its downtime to stitch videos in order to save time. Right after a shooting session, you can start stitching with Insta360 Pro’s internal processor so that by the time you get home, some or all of your photos and videos will have been stitched. This could also be useful for multi-day assignments where you can have the Insta360 Pro stitch photos and videos overnight. I tried it and YES it does work! To use this feature, Insta360 Pro and your laptop must be connected to the same network (the various wired and wireless options for connecting the Insta360 Pro to your PC, pls. see the livestreaming tutorial above). In the Insta360 Pro’s menu, go to settings and choose StitchingBox. This will display the Insta360 Pro’s IP address from the network. Then on the Insta360 Stitcher, enter the IP address shown on the Insta360 Pro’s onscreen menu. 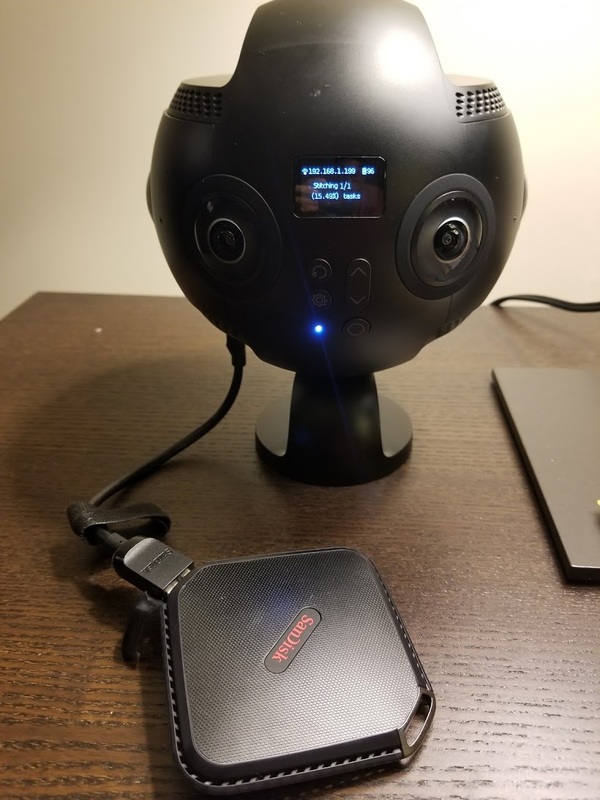 The Stitcher then connects to the Insta360 Pro. You’ll see the files in the Insta360 Pro’s memory card (or SSD drive if you’re using one). There’s no delay at all. It’s as responsive as if the SD card were being read directly by your PC. The only exception is when previewing stitching calibration, which seems to take a long time. As with the normal workflow, you can specify the file name, and you can select “Add to Batch List.” When you’ve added the files to the queue, select “Start all” below the queue to begin stitching. Stitcher will show a status that says “Preparing” but in a few seconds, Insta360 Pro will begin stitching. After stitching has begun, you may disconnect the Insta360 Pro from your laptop, and the Insta360 Pro will continue to stitch. So, for example, after a shooting session, you could use this to begin stitching so that when you get home, some or all of your files will have been stitched. 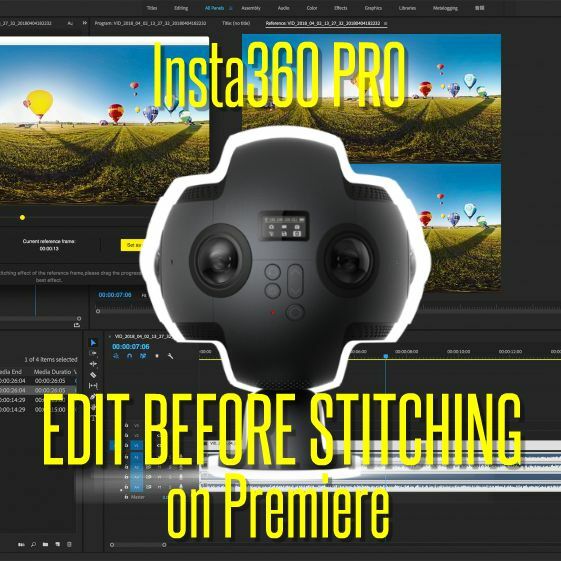 Insta360 Pro’s screen will show the progress based on percentage, and the number of files that have been successfully stitched, or which have failed to stitch. 6. 12K super resolution mode. The Insta360 Pro can take a burst of up to 10 photos and combine them for increased resolution (12000 x 6000 vs. the normal resolution of 7680 x 3840). 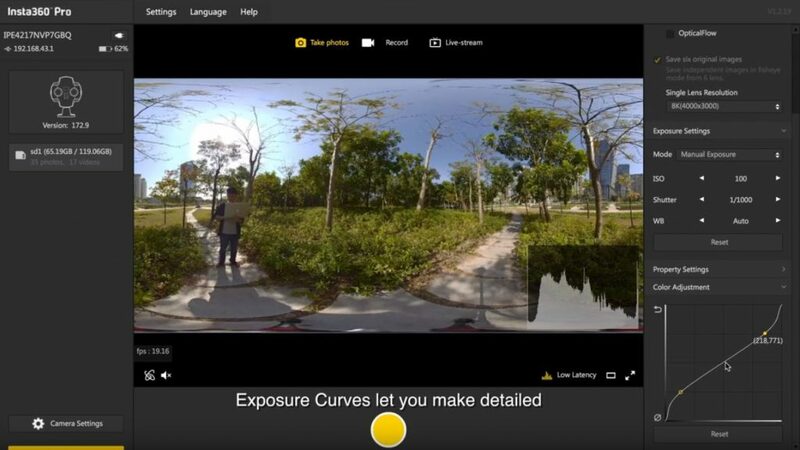 Insta360 Stitcher now has a tone curve that you can use to adjust highlights, midtones, and shadows in realtime. The mobile app also now has a live histogram. 10. 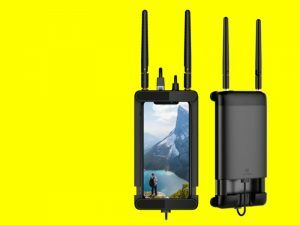 Longer Wi-Fi range: To increase the Insta360 Pro’s wireless range, Insta360 recommends connecting to a phone’s 4G hotspot, or a mobile router such as the Netgear Nighthawk M1. Insta360 will also launch its own wireless adapter. Google Streetview Auto Ready (announced 10/2/17): Insta360 Pro will become the first Streetview Auto Ready camera. There will be a new 5fps photo mode and an optional GPS USB accessory to add location tags automatically. This means that you can mount the Insta360 Pro to your car, drive around, and it will be able to take Street View photos. In January 2019, Insta360 posted an app update (2.1) and firmware update (firmware 210) for the Insta360 Pro that added major new features, most importantly HDR. In addition, the original unstitched photos can be stitched identically in Insta360 Stitcher so that they can be easily fused using 3rd party software such as Photomatix HDR. (For a 15% discount on Photomatix, use the code 360rumors ). 2. Prores 422. 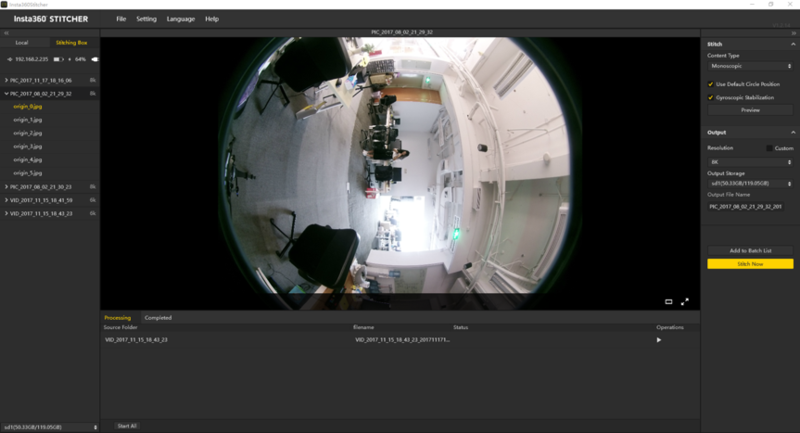 Insta360 Stitcher 2.5 can now stitch Insta360 Pro videos in Prores 422 for maximum image quality and minimal compression. 3. Improved dynamic range. Firmware 210 increased the highlight range without decreasing the shadow range. 4. Improved flat color mode. The new flat color (similar to log mode) noticeably increases the camera’s highlight range. In the photos below, you can see the flat mode (bottom) has much better highlight detail in the sky and the sunlit wall, and slightly better shadow range (look at the lamp above the umbrella). 5. Chromatic aberration correction. The camera can take a reading of its lenses to create a customized chromatic aberration correction. As mentioned above, part of the shooting workflow for Insta360 is that you have to re-calibrate every time you move the camera. If you have Mistka, you don’t have to worry about that anymore. On April 3, 2018, Insta360 and SGO announced that Mistika VR will now feature Insta360 Pro calibration. What this means is that you won’t have to do a calibration in the field. Instead, you can simply do a calibration at the time of stitching. This is made possible because Insta360 gave Mistika their calibration algorithm, so calibrating with Mistika is just as accurate as calibrating with Insta360 Pro’s built-in calibration function. 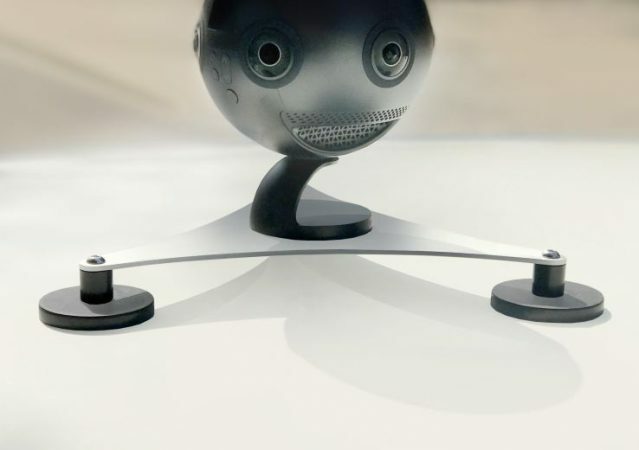 Insta360 announced the Insta360 Farsight, a new transceiver combination that can be used to control the Insta360 Pro or the Insta360 Titan at a distance of up to 3 kilometers (1.86 miles) from ground to air, or 500 meters from ground to ground. It uses 5.8 GHz broadband, for interference-protected, ultra-low-latency connection. You’ll also be able to see live preview at 1080p. The transceiver can clamp on to a phone or tablet, or can be connected to a Mac or Windows laptop. It will be released this summer. The cost has not yet been announced. 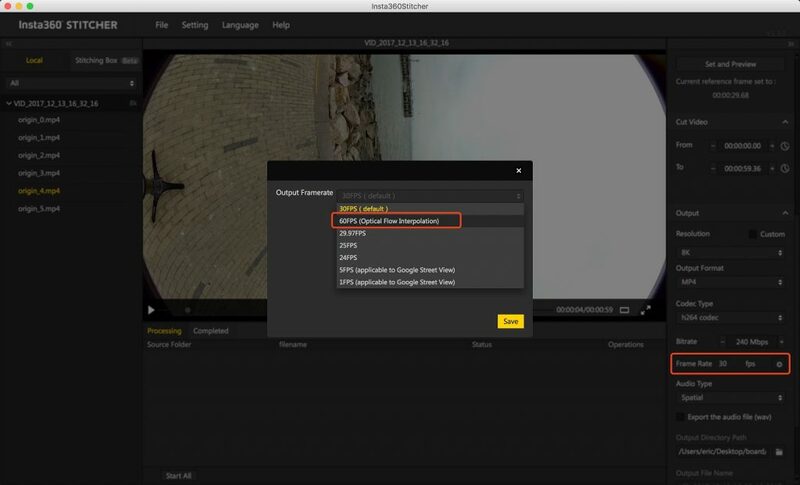 At IVRPA 2018, Insta360 announced the launch of their Adobe Premiere plugin for the Insta360 Pro, enabling no-stitch editing. This was first announced in late April and is now being released in beta, as they promised. For Adobe Premiere users, you’ll be able to edit Insta360 Pro videos before stitching it, thanks to a new Insta360 Pro plugin for Premiere. This plugin will generate a proxy file for unstitched Insta360 Pro files using realtime stitching (the framerate will depend on your PC specs). You’ll be able to edit your video using the proxy files in the same way as conventionally stitched video. When you’re ready to export, all changes made to the proxy version will be applied 1-to-1 to a full-quality version, and the footage involved will be stitched using Insta360’s optimized algorithm. This new plugin has several benefits. First, you’ll be able to begin editing more quickly without having to first stitch the videos. Second, instead of the video being compressed twice (once during stitching and again after editing), video quality is maintained through the final render. Third, you save time since you only stitch the footage that you need to use. For PCs with lower specs, it is also possible to use the plugin to produce prerendered proxy files. Prerendered proxies will play back more smoothly and will be less demanding on hardware. One disadvantage is that the stitching is not customizable with this method. Another issue is that if you need the video for more than one project, you will end up stitching each time for the other projects. If either of these are issues, then you can use the conventional workflow, stitching the video before you bring them into Premiere. 3. 8K viewing with Crystal View. 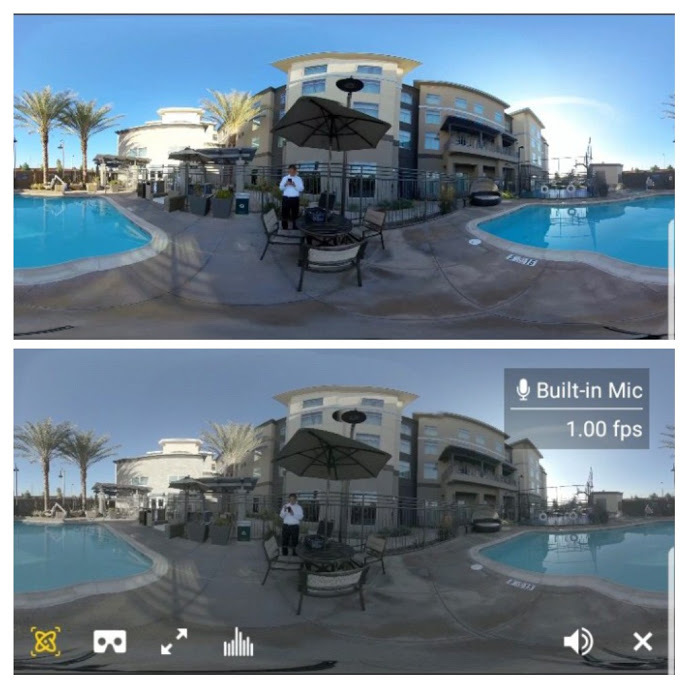 Until now, it has not been possible to view 360 videos greater than 4K 3D resolution. But now, Insta360 is adding a new feature to the Insta360 Player app to enable it to play videos of up to 8K resolution. The feature is called Crystal View and it works by selective rendering. Only the portion viewed by the user will be rendered at full resolution, while the rest of the video will be rendered at a lower resolution. Insta360 is adding Crystal View to versions of the Insta360 Player for iOS, Android, Gear VR and Oculus Go. In summary, the Insta360 Pro produces amazing photos and videos with excellent image quality. I especially love the 3D 360 modes (for photo and video). The 3D effect is very noticeable yet natural. Beyond the image quality, I was surprised at how easy it is to use, both while shooting in the field (not just in controlled conditions) and stitching the files. It is much more practical than I expected, and is easy enough to use that I will be using it as my primary 360 camera whenever conditions allow, not just for assignments. And I think this is what truly sets it apart from other professional 360 cameras. I will update this review to discuss other features of the Insta360 Pro such as image stabilization, time lapse, and other features. If you have any questions, please post them in the comments. In the meantime, if you want to buy Insta360 Pro, here’s how you can get a discount: for a limited time, you can get a free battery and free charger (worth $198) with your purchase (you’ll end up with two batteries in total) by using this special link! Or if you are in a hurry, you can get it through Amazon or B&H Photo. Thank you for using these links to support 360 Rumors at no additional cost to you so I can do more tests, reviews, techniques and updates. Has insta360 said anything about adding depthmap/6dof support to the camera at a later date? Re depth map I’ll check. I know it’s possible. Re 6dof you mean something like Facebook X6 or X24? I haven’t heard anything about that. As I understand it 6dof is created from combining the video and depth map so the depthmap is made available to us we could do our own 6dof videos. Hi Trevan, yes I understand the concept but the possible range of movement with that method seems to be very small. In addition, unless the depth map is very detailed, the people and objects would look like cardboard cutouts if you look at them at 6dof. So far, the depth maps I’ve seen from cameras such as the Yi Halo don’t look sufficiently detailed. Having said that, I’ve been surprised at what Insta360 has done, so it’s possible… Let me inquire with them. Sorry, didn’t mean to be presumptuous. I wasn’t sure if there was any extra magic that the facebook cameras did to create their effect. I am eager to learn of anything you hear from insta360! No problem at all, Trevan. Facebook X6 and X24 use thermal imaging to provide the depth map information. I don’t know how accurate their depth map is. I do have a Lytro camera (the original type) which uses a light field array and I can tell you that the depth map from that one is very poor and nowhere near sufficient to provide 6dof. 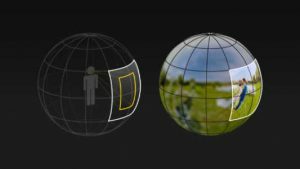 Kandao Obsidian also claims to be able to generate a depth map but it does cost a little bit more than an Insta360 Pro, and I don’t know how accurate it is. The only 6dof demo I’ve seen that has convincing depth so far is the LIDAR-based camera that Hype VR used. But we’ll see…. Thank you very much Giorgio! I hope that Insta360 can sell these in larger quantities so that they can decrease the price a little bit. Great review, Mic. I’ve been watching your youtube channel and appreciate all of your hard work getting the word out about the various 360 options out there. My Insta360 pro is supposedly shipping this week and I’m eager to run it through its paces. I’m shooting a 250 degree narrative short with the Entanya MFT250 lens on the GH5 in the next couple of weeks and was hoping to use the Pro for behind the scenes coverage. If my camera doesn’t get here in time, I’d be curious if you’d be interested in participating with your Pro. Thanks again and keep up the great work! Wow great article. I actually never use the 3D 360 Photo as it is currently nowhere to post in on social media. So you know a popular social platform that I can show my 360 3D photos easily? Thank you very much Hugh. Yes you’re right that’s a problem. The only platform that supports 3D 360 that I know of is Gala360, and your photo will only be seen by others if selected by their editors. So it’s not a realistic option. So far other than emedding on your own website with VR Views, the other way is just to send a file, and ask them to view it, so it’s not a great solution. I’ve asked several 360 photo sharing websites to create the option for 3D 360 and they said yes but nothing is happening…. Very detailed review Mic, thanks. What about the spatial audio feature? Do we have any sample videos on YouTube? Hi James sorry for the delayed reply. I don’t have a spatial audio example, but I’ll add one in Part 2 of my review. I have some sample 360 videos (without spatial audio) on youtube.com/360rumorscom . Hi Mic, just received my Insta360 Pro and the enclosure color is a straight black finish. Perhaps only the early orders come with a gunmetal blue? Great review. I received mine about the time you did and have been putting it through paces. Agree with all your points. Thanks for the review. “Pro” cameras with more than 2 lenses still have a long way to go to be perfect. Photos are still better shoot with a DSLR and a good “360” setup. And for video i think a 2 lens setup is the best since you only get one stitching line. I just hope the image quality of this setup can improve. Thanks Ralph. Yes for photos, a DSLR panoramic setup is still better. For video yes 2 lens would be great for stitching, although you will need a large sensor for better image quality, and similarly, you’ll need a much larger lens for a larger sensor. Love all of your work, and your advice is awesome. I was really excited as I started reading through. Once you up the resolution in YouTube, the video looks great (but how many viewers know to do this, or have bandwidth to support it.) Then I saw how juttery the video is; like there are frames missing. Is it just me and my setup, or is the video not at all smooth? From what I was reading, I was considering dropping the cash, but from the demo videos, I’m much more hesitant. Just when the manufacturers are starting to come out with editing that lets you pick the 16X9 area to show from the full 360, making 360 much more accessible to the mainstream viewer, stepping back out to a full 360 experience, but getting juttery video seems like a bad deal. Hi Marc, sorry i just saw your qusetion now. the jitteriness is not because of insta360 pro. The jitteriness is due to youtube not being able to support 8K at that time. but now youtube does support 8K, so if your PC has sufficient power (gtx 1050 or above equivalent), it should playback smoothly. For 6K 3D 360, it still doesnt playback smoothly on my setup. not sure if it’s a youtube issue, my pc being not powerful enough, or both. I am having the exact same issue as Marc and I’d been searching for answers. Thank you for offering up some clarity! 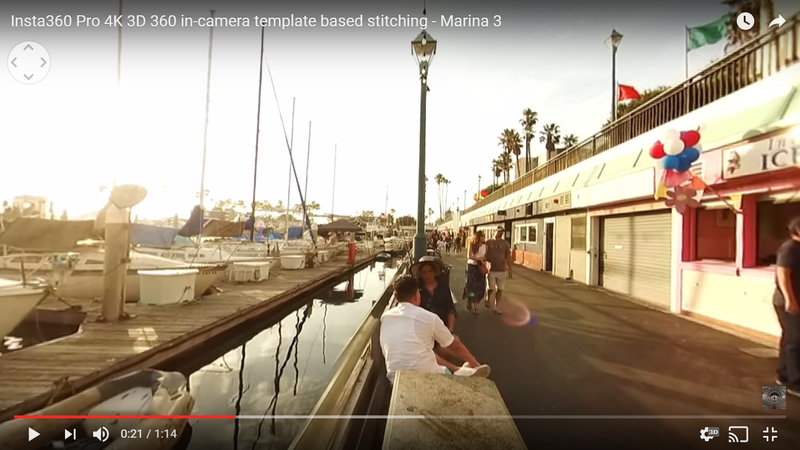 Have you had any issues with your videos not stitching? I will shoot multiple videos, one right after another, with the same settings (8K|30F) and when I bring them into the Insta360 Stitcher, some will just come up with a black screen and the time will be 00:00. I tried to figure out the pattern (i.e. Is it the first video after calibrating? Is it when I start recording via the app vs. pressing the button on the camera?) and I have found no consistency as to when it will/will not actual capture what I am recording. This is with the V160 firmware. I just downloaded/installed the new V165 firmware but haven’t had a chance to test it yet. Hi Emilee. TBH I have not experienced that. Is it possilble that you thought you were recording but it actually didnt record? You might also post this on Insta360 Pro Feedback Group. They will probably want to see one of the empty files. These comparisons are really helpful! It would be nice to have some footage to check out details and stitching on my own machine. is any way to hard reset camera to restore factory settings? Firstly, please unlock the camera’s firmware degrade limit. Use the Pro PC of 1.3.0 version or above to connect to the current camera. What would you say is the better camera between the obsidian range and insta pro or zcam . Doesn’t seem to be any real life in the field comparisons and I know you’ve had your hands on most of them. Hi Hugh and from your perspective (quality, workflow, price) which one is better suited for Virtual tours (indoors and outdoors) ? Thanks ! the only downside I could see, is the price on the Obsidian is almost 2 times the one with the Insta360 Pro, but what a great feature is the RAW+ !! Thanks Hugh. But doesn’t raw+ work with all cameras, including insta360 pro? Worth noting that you must also manually download the beta version of Insta Stitcher to use many of the v2.0 features, such as super resolution. The upgrade is astounding though, IMO. Even just for dynamic range, noise, and improvements in stitching. Love the tutorials-nice job and the camera is impressive for the price. Can you detail time-lapse work flow in a future tutorial? I am having trouble finding any info on how to get into an “intervalometer” type mode. Hi Mic Ty. Im using the 2.0 Beta on the camera and do not see it in video mode. Any hints on where in the app. Any help is appreciated. I would still love to see a tutorial but after your reply I was able to get into the Desktop app and set up a custom timelapse setting. Hopefully they can get that ported to the iPad app soon. Thanks so much for the lead. Exactly what I needed. Hi Mic, thanks for your incredibly in-depth review. I’ve been searching around, trying to find more information on the Gyro stabilization. It works for me in the Record Preview mode and I’ve seen it work when Live Streaming to a monitor using the HDMI connection. However, when Live Streaming to a YouTube event, my team can’t seem to get the Gyro feature to work. If we flip the camera, the image, including the Live YouTube Stream, flips as well. Ultimately, my team is looking to bring this camera to a trade-show and mount it upside down to the ceiling or top of the booth. Do you have any insight on how we can correct the image orientation for Live Streaming? Thank you very much Jon. I haven’t tried streaming upside down but as you said, when I tried live streaming, it was stabilized. How about you? If you stream with the Pro upright or tilted, is it stabilized? If not, then it might be that you disabled gyro in the settings. If it is stabilized, then I think it’s because Insta360 didn’t anticipate upside down streaming. I think you need to contact Insta360 and ask them to enable upside down live streaming. Thanks Mic. I confirmed the Gyro setting had been enabled and calibrated on the camera itself, but we just realized there’s also an icon in the Desktop App to enable it there as well. We switched it on from the Desktop App and now it’s working. Thanks! What are the file sizes for each resolution? Hi Daniel. I will take a look. Great to see your review. Its very in-depth and reassuring. I am in the process of buying the Insta360 pro and I had some specific questions which I am hoping you will have the answers to. Do you know what the base sensitivity of the capture system is and what ISO setting have you found to perform best in outdoor day situations? Do you know at what lens aperture is the capture system shooting by default or is there a manual iris control possible with the new firmware upgrade? I presume 6 fisheye lenses would mean pretty much the entire image is in focus and I would like to have a certain degree of control over this aspect in order to use it as a tool of immersion so I am curious to know if there is some face recognition parameters like the new DETU which might help in this regard. Hope yo hear from you soon! -> If you think about buying this camera, you really should know its not a product ready for professional use, as long as you don’t have a backup camera. This sounds hard, but in my point of view a professional camera is most of all reliable in all situations. Losing shots because of bad hardware is not an option. Hi, nice article. But did you test the latest firmware update youself instead of using the pictures and videos from |Insta. As you must know there are major problems with the recent firmware updates Insta send us. Lots of things go wrong. Insta only wants us to send pictures so tyhey can see whats wrong. They should do their ownR&D before the ship out a new firmware. I experienced more then ones that the camera did not do what it sepposed to do on a shoot for a client. Its also not tru that Insta goes the extra mile for their costumers, maybe in the beginning but not anymore. Its nice that Insta colabarates with Mistika but what they should do is provide us with the Mistika software for free as compensation for all the problems the camera gives us. Its by far not a Pro camera. The state its in now its more a middle consumer class camera. We shoot a lot of 360 videos but stopped using the Pro because of all the issues. Insta is now focussing on their new Pro and not so much on solving the recent problems and thats a shame. It started out very prommising but it went down hill very quick. I was i fan but am not any more. The only thing i am asking for is a stable working camera that i can use without hasatation so i can make my clients happy. Hi Rene. Yes I have the new firmware update and haven’t had problems. Hi Rene and which device are you using instead of the 360 Pro ?hope is a device on the same price range. Hi Kuba, yes they can all be used at the same time. As for the 12k mode to be honest, I don’t see any real additional detail. Instead, I see it as being more useful for noise reduction, similar to image stacking. There were recently reports of a hardware chip change in more recent models, but no details if that was the sensor, cpu, gpu or other. I have also tried to find out if the camera does or does not produce 4K at 60fps without the use of OF interpolation as there are many contradicting specs published including on 360Rumors. In the light of your review and ratings on your comparison tool, I think an additional statement or rating for reliability is necessary. What is your experience, do you use this regularly to just for evaluation and review? Just wondered if the Pro is suitable for use in small spaces like truck driving cabs? I’m concerned about stitch lines at close proximity. I’ve found my Gear 360 2 lens camera easy to manage as I angle the stitch line to avoid key areas of interest. But with multiple lenses how does the Insta360 Pro cope at distances of less than a metre?! Thanks and appreciate the amount of work you do. I’ve been having a headache with this and my 360 instinct from using Ladybug cameras several years ago made me worry about stitching and parallax! The Fusion looks like a great value model, thanks for your reviews. You’ve saved me from an expensive mistake!! I just bought the Insta360 pro and was wondering what size of memory card would be ideal. 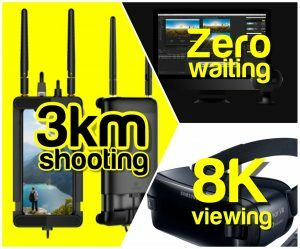 Could you please let me know what the typical size of the 8k 3D photos and videos are? it would really help me decide the SD card to be purchased. Also can it directly record to an attached hard drive? If so should we format it before attaching it or any hard drive with data is fine? Congratulations Kishore! I recommend this portable SSD drive (it’s cheaper and faster than SD cards): http://360rumors.com/2017/07/faster-cheaper-sandisk-extreme-500-portable-ssd-review.html When you use an SSD drive, you don’t have to format every time. That way, you won’t delete the speed test results, so you don’t need to run the speed test every time. Hmm after reading so many negative feedback from actual owners and people who use the device on their work (day to day) I’m considering other options line Panono or even the actual offer of the GoPro Omni… any thoughts ? With the price of the Omni right now, i think it is the best deal for ‘entry-level’ professional 360 video. Dear Mic Ty, Hope you doing good..I want to know that i can use this camera for creating HDRI images for CGI uses..?? is that possible ?? Very nice and informative review. I need to do a city to google street view mount it on a car and drive around will it take the photos clearly while driving with no shadows of cars and people ? What about the nadir can it be fixed ? I normally use a dslr and fix nadir fine the camera it is small but when on top of a car can the car be removed like google does ? Thank you so much for the comprehensive review! Would you mind sending me a sample of the stabilization data recorded on the SD file ?